Ten years ago Arthur Herman wrote an interesting book about how the Scots invented the modern world. Adam Smith, David Hume, James Watt, Alexander Graham Bell – the list of Scots firebrands and original thinkers is long and impressive. In Canada we know that Scots had a big hand in inventing the country. Sir John A MacDonald, Canada’s first Prime Minister, was a Scot through and through. Same for his successor, Perthshire-born Alexander Mackenzie. Canada’s history is riddled with Scots. Canada’s pathfinders and trailblazers are disproportionately over-represented by Scots. Time’s are changing and, sadly, I say, that while a strong weave of Scottishness can still be felt in the backbone of Canadian society, the cultural imprint of Canada’s Scottish forebears fades. One thing that makes Canada great, thanks in part to the intellectual groundwork laid by Scots, is its ethnic diversity. The 2011 census told us that at 5.9% Canada has the fastest growth rate of all G8 countries – and that statistic has zero to do with horny Canucks. It’s immigration that’s adding to Canada’s people, to our population – just like the rest of the western world. In 2011 China, India and the Philippines helped Canada move forward – not Scots and Celtic-y types. And I say that’s a fine thing, a good thing – no, a great thing. We just need to integrate, to nurture and to support our newcomers to the Canadian way of life, while doing our best, when it makes good sense, to take in and integrate the many great things – the cultural strengths – that newcomers bring. And that’s a rare trick while trying to keep strong the cultural threads that have gone to make up the ever-changing weave of Canadian culture. I count the music of the Scot – the Great Highland Bagpipe – high among those threads. The Great Highland Bagpipe, voice of the Gael and a well-loved splash of colour in the workaday life of a Canadian needs support. 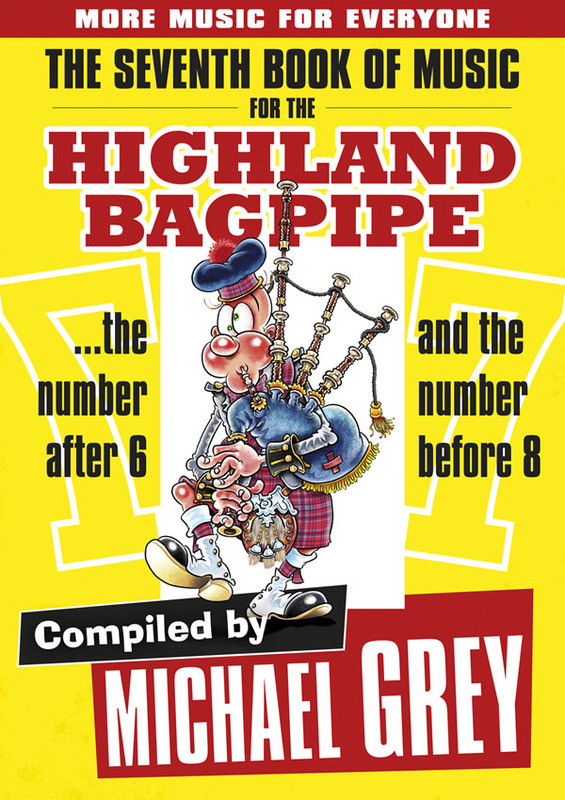 The pipes are taken for granted by Canadians, especially those not involved in crazy piping competitions, recitals or any number of insular events the piping sub-culture schemes to hatch. I suggest to you that even within the piping and pipe band community the whole damned thing is taken for granted. Our events: Highland games, Burns Suppers, piping workshops, schools, our bands, too, are all suffering. They’re under-subscribed, they’re weak. There’s apathy about. People seem to think these events will always be around, or there to “crash” at the last moment if there’s nothing else better to do. Well here’s your newsflash: they won’t be. The Great Highland Bagpipe is fading in Canada. I point the finger to apathy from those with roots and associations in the culture. Period. There’s no one to blame but ourselves. We’ll drop $60 on a night at the movies, no problem – some usually crappy (or worse, ordinary and unsatisfying) Pixar thing or substandard Hollywood “prequel” but heaven help us if a bagpipe or Scottish thing has a gate of over five bucks, “I’m staying home”. We need to seriously shift our sense of what has value. 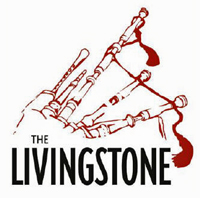 And on that happy note, please come out to The Livingstone (presented by pipes|drums) event on Saturday, October 6, 2012. With fancy-shmancy hor d’oeuvres, a fine venue in The Hamilton Club and seven super-experienced recitalists, you just can’t go wrong. If you don’t come, it won’t happen again. And that would be sad. Think of the people before us; think of the people after us. You are so right, Michael, on all fronts! But … what’s with the Thanksgiving weekend date of the Livingstone? I really, really wanted to go but just have too many complicated family obligations this weekend. I hope the Livingstone will run again next year, but on a different weekend, and then I DEFINITELY will be there! Thanks, Ellen. I don’t know for sure but I think both availability of venue and the calendar of events already scheduled dictated the October 6 date. M.
Mike, I sympathize with your frustration concerning the ever-dwindling number of spectators at piping events and highland games. Your right, an alarming number of celty-canadians do take the events for granted. They’ll come out. But only when they’re not busy buying the next gadget at the nearest Apple store, and even then, only when the weather is perfect and the kids don’t have anything better to do. What happened to us? Where did our values go? Now all people want is: Cheaper…Better…Newer…Faster. Keep writting Mike, I love your articles.